Finally deciding on a project to do to use up the leftover yarn from my Garden Patch Granny Afghan. It is not a huge project, but is bigger than the little critters I have been working on lately. I am really excited about it...more details to come. A few thrift store finds. 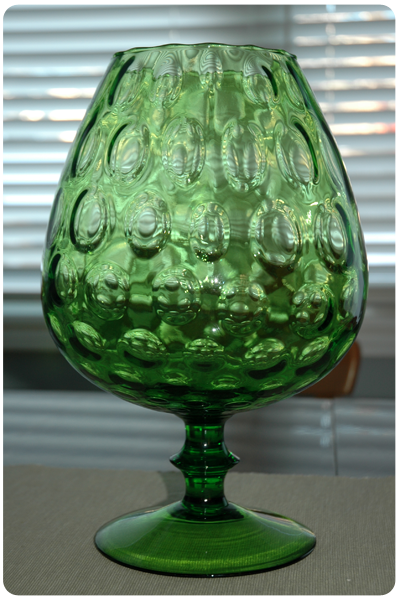 Look at this huge green glass! Bridget says it looks like a giant's wine glass - which would not be such a bad thing at all, now would it? And this eggplant sugar bowl. I need another sugar bowl like a hole in the head, but for only $1.50 this was too cute to pass up. Plus, it reminds me of the Fraggles. And finally, candles. 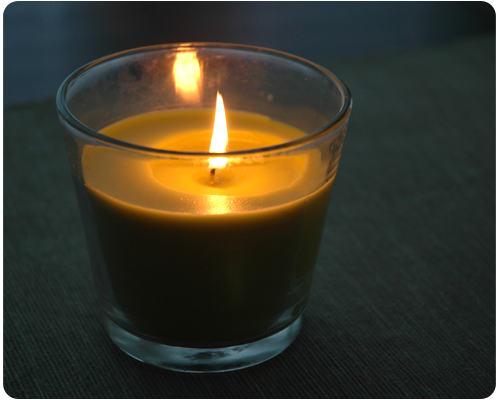 Nothing makes me feel cozier than lighting a candle on a cold winter night. Blue skies, sunshine and a morning crocheting the storage box l saw on your blog are making me smile today. Thanks for the inspiration! Thank you Jane. It has made me smile ear to ear to hear that you are crocheting something you saw on my blog. Thank you so much for reading. Stopping by from #LOBS! 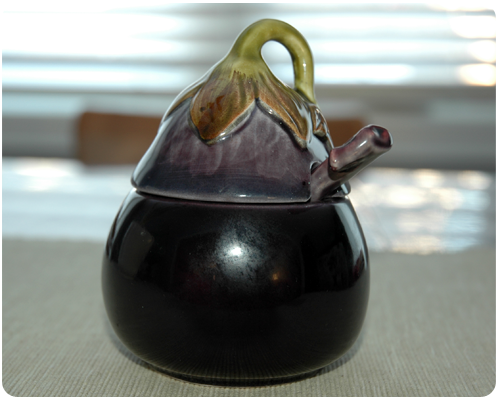 That eggplant sugar bowl is adorable and totally belongs down at Fraggle Rock! Isn't it...Fraggle Rock was the first thing I thought of when I saw it. A smile! A smile makes me smile today. Looking forward to see what you're going to do with the leftover yarn. Visiting from #LOBS. A smile...you are right! I will be revealing my plans for my leftover yarn soon...stay tuned. Thanks for stopping by. I absolutely love thrift store finds! I have a local thrift store that organizes their home décor by colors and I absolutely love it! It makes the digging process that much easier. Organized home decor by color..that sounds amazing! The place I go to has everything in a huge heap meaning I need a lot of time to go through stuff. Thanks so much for reading. I do love the giant's wine glass! And there's nothing wrong with that. Thanks again for linking up to #LOBS! The 'giant's wine glass' idea made me laugh when my daughter said it. Thanks for stopping by. 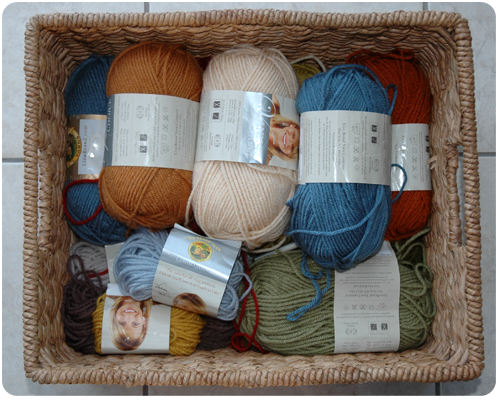 I like that box where you placed your yarns. :) The wine glass and sugarbowl are soo cute too! I love going to thrift stores and look for things like those.. Visiting from #LOBS, great weekend to you!